If you manage your mana, you don't need Clarity. Plus, it's pretty much mandatory to take a combination of Exhaust, Ignite and Heal plus Flash unless your champion doesn't necessitate Flash. But even then, there are better choices than Clarity. This is true regardless of game mode (bar URF). And Clarity doesn't even let you be that aggressive, ESPECIALLY on 3v3s where laning is less linear. Maybe Anivia's an exception (although I doubt it), because that's who I have in mind. The slow aspects of Exhaust don't help her all that much, since she has two slows, a stun, and her wall, not to mention, the damage mitigation doesn't matter in most situations, because she outbursts most champs, and isn't gonna be sticking toe-to-toe with anyone unless you get swarmed and/or you're in your egg, in which case, Exhaust is uncastable, and thus, irrelevant. I've previously stated how rare it would be for Ignite to be better for her than giving her another round of her burst. Heal's definitely viable, although I view it very similar to Exhaust. The only true benefit is the speed up, but again, there are both other methods of escape, and I personally take MS quints on her on TT (the map which I'm defending Clarity's viability) anyway, so I'm already gonna be sitting at 413 MS fairly early in the game (usually around the 15-20 minute mark), which is pretty fast, especially for a mage. This leaves Revive, Cleanse, Smite, Barrier, Teleport, and Clairvoyance. Revive isn't viable. Smite isn't useful, as I'm not jungling. Clairvoyance is a silly choice. Barrier's been replaced on most champs by Heal, and I just covered that. Cleanse is potentially very useful if you aren't playing blind pick, but since not all champs are problems because of powerful CC, this isn't something to rely on. Teleport is actually very strong on Anivia (read up on egg TP if you're unfamiliar), and I actually use it as my second Summoner Spell on SR, but TT is so small, and you'd really only be taking this for the egg TP, which is purely defensive. Sorry for the long-winded explanation. Really the point that I'm trying to get at here is that Summoner Spells, and even runes are more a matter of playstyle than they are about following a strict meta, and I just want people to keep that in mind. 954647 IcyAuron [quote=sirell] If you manage your mana, you don't need [[clarity]]. Plus, it's pretty much mandatory to take a combination of [[exhaust]], [[ignite]] and [[heal]] plus [[flash]] unless your champion doesn't necessitate [[flash]]. But even then, there are better choices than [[clarity]]. This is true regardless of game mode (bar URF). And [[clarity]] doesn't even let you be that aggressive, ESPECIALLY on 3v3s where laning is less linear. [/quote] Maybe [[Anivia]]'s an exception (although I doubt it), because that's who I have in mind. The slow aspects of [[Exhaust]] don't help her all that much, since she has two slows, a stun, and her wall, not to mention, the damage mitigation doesn't matter in most situations, because she outbursts [i]most[/i] champs, and isn't gonna be sticking toe-to-toe with anyone unless you get swarmed and/or you're in your egg, in which case, [[Exhaust]] is uncastable, and thus, irrelevant. I've previously stated how rare it would be for [[Ignite]] to be better for her than giving her another round of her burst. [[Heal]]'s definitely viable, although I view it very similar to [[Exhaust]]. The only true benefit is the speed up, but again, there are both other methods of escape, and I personally take MS quints on her on TT (the map which I'm defending [[Clarity]]'s viability) anyway, so I'm already gonna be sitting at 413 MS fairly early in the game (usually around the 15-20 minute mark), which is pretty fast, especially for a mage. This leaves [[Revive]], [[Cleanse]], [[Smite]], [[Barrier]], [[Teleport]], and [[Clairvoyance]]. [[Revive]] isn't viable. [[Smite]] isn't useful, as I'm not jungling. [[Clairvoyance]] is a silly choice. [[Barrier]]'s been replaced on most champs by [[Heal]], and I just covered that. [[Cleanse]] is potentially very useful if you aren't playing blind pick, but since not all champs are problems because of powerful CC, this isn't something to rely on. [[Teleport]] is actually very strong on [[Anivia]] (read up on egg TP if you're unfamiliar), and I actually use it as my second Summoner Spell on SR, but TT is so small, and you'd really only be taking this for the egg TP, which is purely defensive. Sorry for the long-winded explanation. Really the point that I'm trying to get at here is that Summoner Spells, and even runes are more a matter of playstyle than they are about following a strict meta, and I just want people to keep that in mind. 954618 sirell If you manage your mana, you don't need [[clarity]]. Plus, it's pretty much mandatory to take a combination of [[exhaust]], [[ignite]] and [[heal]] plus [[flash]] unless your champion doesn't necessitate [[flash]]. But even then, there are better choices than [[clarity]]. This is true regardless of game mode (bar URF). And [[clarity]] doesn't even let you be that aggressive, ESPECIALLY on 3v3s where laning is less linear. Yes, Clarity is a waste if you can manage your mana (silver things tbh). Ignite on the other hand. Wow. You deal true damage and reduce healing while you fight which increases your damage. It is after all almost 500 damage which is quite much considering that you can use it on the squishies. If you need to dish out damage soon™ Ignite does the job. Like I said, what you're saying is absolutely true on SR. It doesn't inhibit you on TT, though, it allows you to be aggressive. There, it has nothing to do with managing your mana. 954601 IcyAuron [quote=Janitsu] [quote=IcyAuron] [quote=Janitsu] [quote=IcyAuron] It flows pretty well on Twisted Treeline. There, you have higher passive mana regen, and level up faster. The main reason that people don't like it on Summoner's Rift (if I had to guess) is because you'll still be required to get mana regen from other sources, making this effectively a waste of a more relevant Summoner Spell (such as [[Teleport]] or [[Heal]]). On TT, however, you really don't have to. Even with just a [[Rod of Ages]] and Clarity, your mana pool should last you long enough to not have to purchase [[Athene's Unholy Grail]] or spend a long time building up [[Tear of the Goddess]], allowing you to get to damage much faster. I've been in [b][i]FAR[/i][/b] more situations where I'm out of mana and could burst someone down for a kill than I am where I have mana and the enemy escapes with less than 410 HP ([[Ignite]]'s max damage). That just doesn't happen. It makes a lot more sense to me to use a single summoner spell slot and completely avoid having to buy an item to accomplish the same thing. That saves time, a bunch of gold, and allows you to build more damage or situational items quicker. [/quote] You use [[Ignite]] far more effectively if you don't wait until they are at 430 health. [/quote] Unless you need the grevious wound, why would you do that? You could potentially waste a summoner, which is the entire argument towards Clarity. [/quote] Yes, [[Clarity]] is a waste if you can manage your mana (silver things tbh). [[Ignite]] on the other hand. Wow. You deal true damage and reduce healing while you fight which increases your damage. It is after all almost 500 damage which is quite much considering that you can use it on the squishies. If you need to dish out damage soon™ [[ignite]] does the job. [/quote] Like I said, what you're saying is absolutely true on SR. It doesn't inhibit you on TT, though, it allows you to be aggressive. There, it has nothing to do with managing your mana. Unless you need the grevious wound, why would you do that? You could potentially waste a summoner, which is the entire argument towards Clarity. 954403 Janitsu [quote=IcyAuron] [quote=Janitsu] [quote=IcyAuron] It flows pretty well on Twisted Treeline. There, you have higher passive mana regen, and level up faster. The main reason that people don't like it on Summoner's Rift (if I had to guess) is because you'll still be required to get mana regen from other sources, making this effectively a waste of a more relevant Summoner Spell (such as [[Teleport]] or [[Heal]]). On TT, however, you really don't have to. Even with just a [[Rod of Ages]] and Clarity, your mana pool should last you long enough to not have to purchase [[Athene's Unholy Grail]] or spend a long time building up [[Tear of the Goddess]], allowing you to get to damage much faster. I've been in [b][i]FAR[/i][/b] more situations where I'm out of mana and could burst someone down for a kill than I am where I have mana and the enemy escapes with less than 410 HP ([[Ignite]]'s max damage). That just doesn't happen. It makes a lot more sense to me to use a single summoner spell slot and completely avoid having to buy an item to accomplish the same thing. That saves time, a bunch of gold, and allows you to build more damage or situational items quicker. [/quote] You use [[Ignite]] far more effectively if you don't wait until they are at 430 health. [/quote] Unless you need the grevious wound, why would you do that? You could potentially waste a summoner, which is the entire argument towards Clarity. [/quote] Yes, [[Clarity]] is a waste if you can manage your mana (silver things tbh). [[Ignite]] on the other hand. Wow. You deal true damage and reduce healing while you fight which increases your damage. It is after all almost 500 damage which is quite much considering that you can use it on the squishies. If you need to dish out damage soon™ [[ignite]] does the job. You use Ignite far more effectively if you don't wait until they are at 430 health. 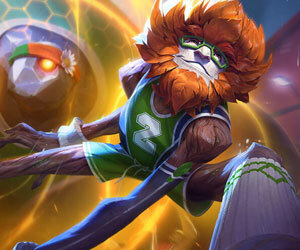 954396 IcyAuron [quote=Janitsu] [quote=IcyAuron] It flows pretty well on Twisted Treeline. There, you have higher passive mana regen, and level up faster. The main reason that people don't like it on Summoner's Rift (if I had to guess) is because you'll still be required to get mana regen from other sources, making this effectively a waste of a more relevant Summoner Spell (such as [[Teleport]] or [[Heal]]). On TT, however, you really don't have to. Even with just a [[Rod of Ages]] and Clarity, your mana pool should last you long enough to not have to purchase [[Athene's Unholy Grail]] or spend a long time building up [[Tear of the Goddess]], allowing you to get to damage much faster. I've been in [b][i]FAR[/i][/b] more situations where I'm out of mana and could burst someone down for a kill than I am where I have mana and the enemy escapes with less than 410 HP ([[Ignite]]'s max damage). That just doesn't happen. It makes a lot more sense to me to use a single summoner spell slot and completely avoid having to buy an item to accomplish the same thing. That saves time, a bunch of gold, and allows you to build more damage or situational items quicker. [/quote] You use [[Ignite]] far more effectively if you don't wait until they are at 430 health. [/quote] Unless you need the grevious wound, why would you do that? You could potentially waste a summoner, which is the entire argument towards Clarity. It flows pretty well on Twisted Treeline. There, you have higher passive mana regen, and level up faster. The main reason that people don't like it on Summoner's Rift (if I had to guess) is because you'll still be required to get mana regen from other sources, making this effectively a waste of a more relevant Summoner Spell (such as Teleport or Heal). On TT, however, you really don't have to. Even with just a Rod of Ages and Clarity, your mana pool should last you long enough to not have to purchase Athene's Unholy Grail or spend a long time building up Tear of the Goddess, allowing you to get to damage much faster. I've been in FAR more situations where I'm out of mana and could burst someone down for a kill than I am where I have mana and the enemy escapes with less than 410 HP ( Ignite's max damage). That just doesn't happen. It makes a lot more sense to me to use a single summoner spell slot and completely avoid having to buy an item to accomplish the same thing. That saves time, a bunch of gold, and allows you to build more damage or situational items quicker. 954184 Janitsu [quote=IcyAuron] It flows pretty well on Twisted Treeline. There, you have higher passive mana regen, and level up faster. The main reason that people don't like it on Summoner's Rift (if I had to guess) is because you'll still be required to get mana regen from other sources, making this effectively a waste of a more relevant Summoner Spell (such as [[Teleport]] or [[Heal]]). On TT, however, you really don't have to. Even with just a [[Rod of Ages]] and Clarity, your mana pool should last you long enough to not have to purchase [[Athene's Unholy Grail]] or spend a long time building up [[Tear of the Goddess]], allowing you to get to damage much faster. I've been in [b][i]FAR[/i][/b] more situations where I'm out of mana and could burst someone down for a kill than I am where I have mana and the enemy escapes with less than 410 HP ([[Ignite]]'s max damage). That just doesn't happen. It makes a lot more sense to me to use a single summoner spell slot and completely avoid having to buy an item to accomplish the same thing. That saves time, a bunch of gold, and allows you to build more damage or situational items quicker. [/quote] You use [[Ignite]] far more effectively if you don't wait until they are at 430 health. 954182 IcyAuron It flows pretty well on Twisted Treeline. There, you have higher passive mana regen, and level up faster. The main reason that people don't like it on Summoner's Rift (if I had to guess) is because you'll still be required to get mana regen from other sources, making this effectively a waste of a more relevant Summoner Spell (such as [[Teleport]] or [[Heal]]). On TT, however, you really don't have to. Even with just a [[Rod of Ages]] and Clarity, your mana pool should last you long enough to not have to purchase [[Athene's Unholy Grail]] or spend a long time building up [[Tear of the Goddess]], allowing you to get to damage much faster. I've been in [b][i]FAR[/i][/b] more situations where I'm out of mana and could burst someone down for a kill than I am where I have mana and the enemy escapes with less than 410 HP ([[Ignite]]'s max damage). That just doesn't happen. It makes a lot more sense to me to use a single summoner spell slot and completely avoid having to buy an item to accomplish the same thing. That saves time, a bunch of gold, and allows you to build more damage or situational items quicker. I honestly think that this spell can be very helpful, can never join a game without being bashed on for using it. Such a shame. 604768 DonDiscord I honestly think that this spell can be very helpful, can never join a game without being bashed on for using it. Such a shame. Clarity's super underrated. I understand that some people think that there're more useful Summoner Spells, but I really don't see why there're so many people who think that it's worthless. If I'm playing Anivia, popping Clarity and allowing me to unload a full combo is much more powerful than using Ignite. 558056 IcyAuron Clarity's super underrated. I understand that some people think that there're more useful Summoner Spells, but I really don't see why there're so many people who think that it's worthless. If I'm playing Anivia, popping Clarity and allowing me to unload a full combo is much more powerful than using [[Ignite]]. 300320 perky135 What is clarity's cd?